A tutorial provides an example of Star Wars Battlefront, but will be useful for other EA Games too. Edit strings Install Dir and GDFBinary and maybe GDFBinary64. 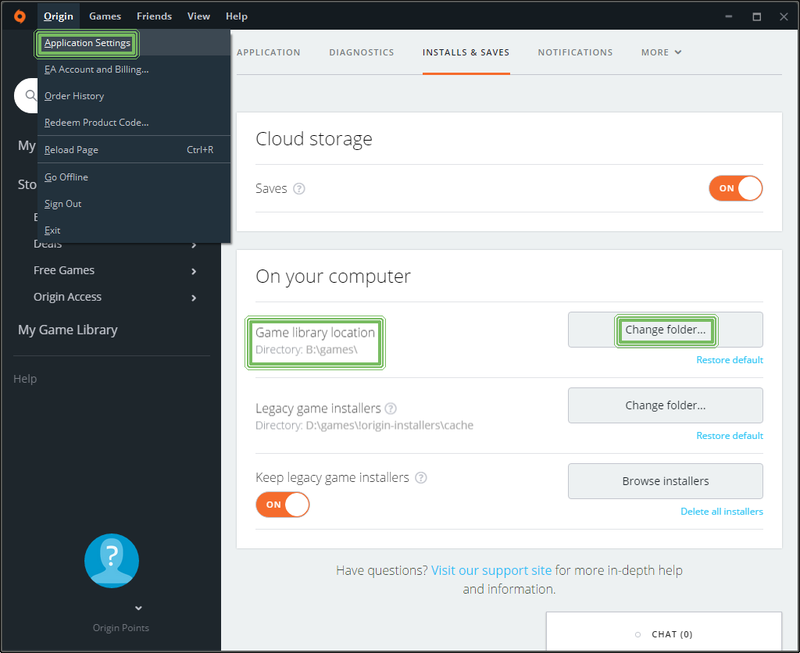 If you change location of the game library in Origin's client: Origin > Application Settings > Install&Saves > Game library location, the game stays on the original location. New set library's location will be valid for new installed games only, it doesn't affect now playable games. Shut down/don't run Origin client. In the file manager (Windows Explorer, Total Commander,…) you have to find original folder with the game (e.g. C:\Program Files (x86)\Origin Games\STAR WARS Battlefront). You have to rename the folder (adding one character is sufficient: XSTAR WARS Battlefront). This causes the original game to stop working and you will be able to download it again. Run Origin client and set a new path to the game library. In the menu of client choose: Origin > Application Settings > Install&Saves > Game library location (e.g. „B:\games“). In My Game Library click on icon of your game and press the button Download. Pressing Pause immediately stop the downloading. You need now switch to your file manager. In the location of the new library (B:\games) client creates already the folder for new downloaded game and maybe there are some files and folders now. In this filder you will move content of the previously renamed folder from original location (i.e. content of the folder C:\Program Files (x86)\Origin Games\XSTAR WARS Battlefront you need to move to B:\games\STAR WARS Battlefront). Switch back to the Origin client and press the button to continue downloading. Client only verifies game files and after a while you will be able to play.